Indiana is in the midst of an ever-growing primary care physician workforce shortage, and has been for many years. According to a recent study, Indiana will need 817 primary care physicians by 2030, a 20% increase from the state’s current population, just to maintain the status quo. This session, the Indiana House and Senate both proposed bills to do away with the term “collaborative agreement,” which has, in the past, created a regulatory burden limiting the resources and responsibilities of advanced practice registered nurses. For the past nine years, the Indiana House and Senate health committees have been working on laws to facilitate the development and operation of a health care system that provides high-quality care at affordable prices, promotes choice and competition. With these efforts, we increased the number of medical residency programs, added education requirements and updated the scope of practice for various doctors and therapists. This led to increased access to health care for many Hoosiers. In 2018, we modernized the APRN statutes that have been in effect since 1993. Currently, APRNs must have a master’s degree and be accredited in either family practice, geriatrics, pediatrics, mental health, long term care or women’s health. The Department of Health and Human Services has recommended eliminating requirements for strict collaborative practice and supervision agreements between physicians that are not justified by health and safety concerns. To gather as much information as possible from groups of all perspectives, I met with members of the Indiana State Medical Association, who proposed amendments to the bill, and the Indiana State Hospital Association, who supported the bill. After weeks of discussions and meetings with all involved, I proposed an amendment to remove the collaborative agreement after five years. Unfortunately, the legislation did not gain full support in the House. This health care provider shortage will not go away. I will continue to support these efforts to help them increase access to quality and affordable health care in the future. As always, I encourage you to share your thoughts and feedback on this legislation as it moves through the process. 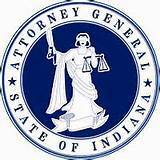 Contact me with any input or questions at h75@iga.in.gov or 317-232-9643.